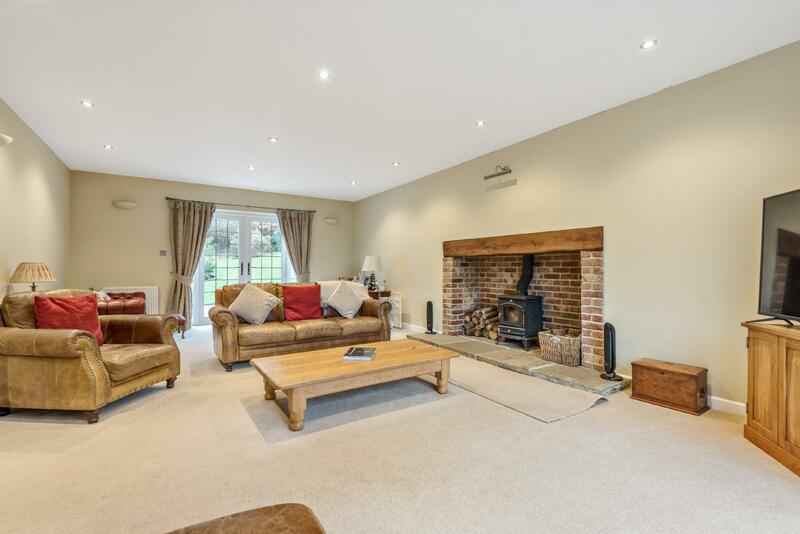 A modern and substantial family home set in the very heart of the Ashdown Forest. 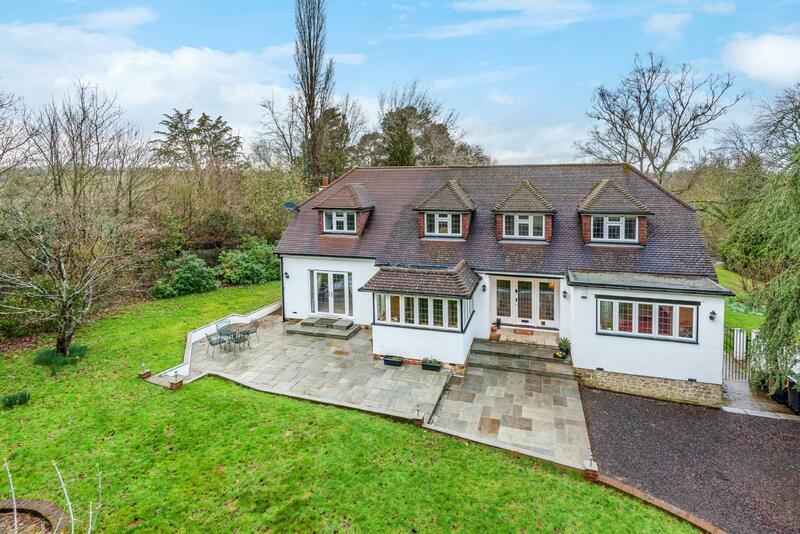 Set in an elevated position in a plot of two acres with wonderful views over a valley in the forest. 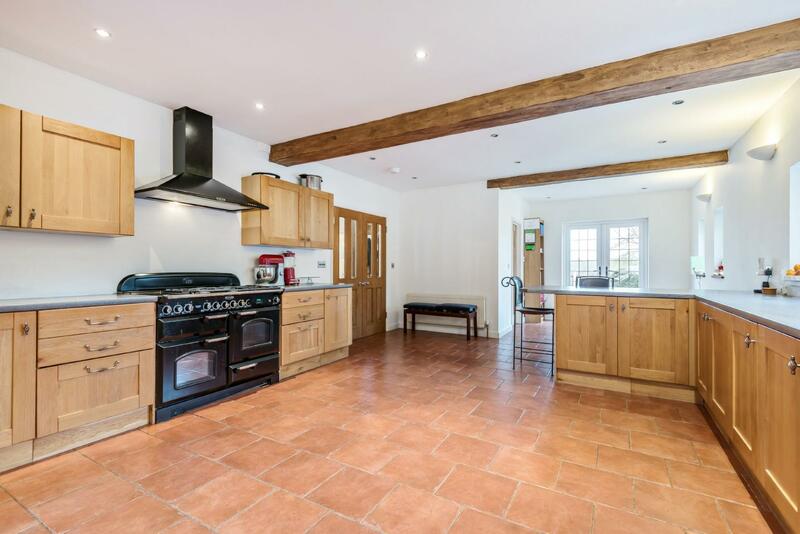 Accessed via electronic gates with benefits including a double garage, 'airbnb' lodge and two stables. We are pleased to offer to the market 'Shepherds Cottage'. 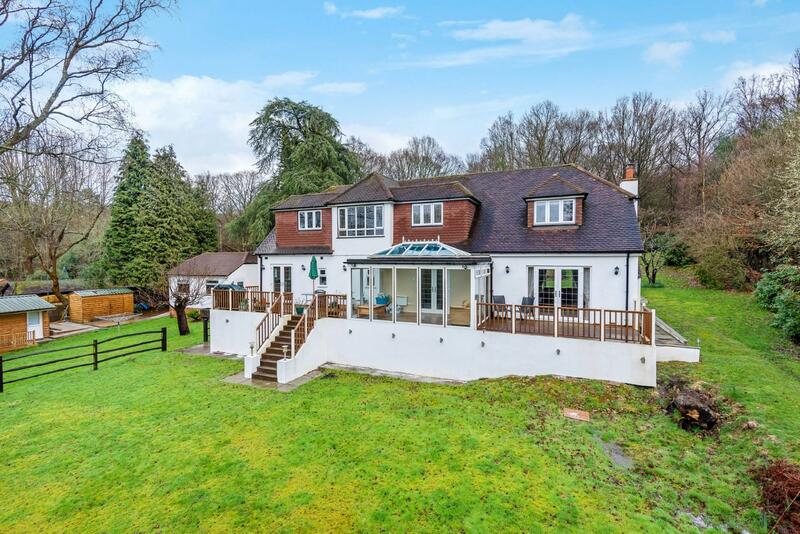 Set in the most exceptional location in the very heart of the Ashdown Forest sits this modern family home in a plot of two acres offering gorgeous views over the Forest. 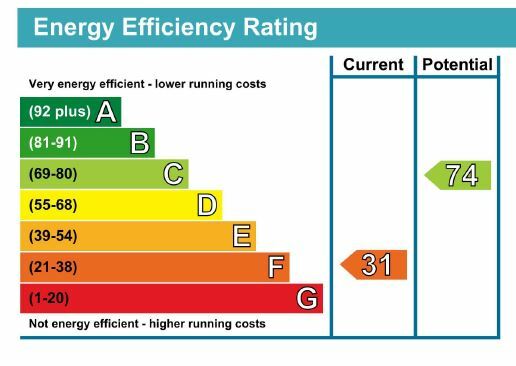 Having been lived in and well maintained for the last twelve years by the current owners you can be reassured that the bones of the house are in very good order. 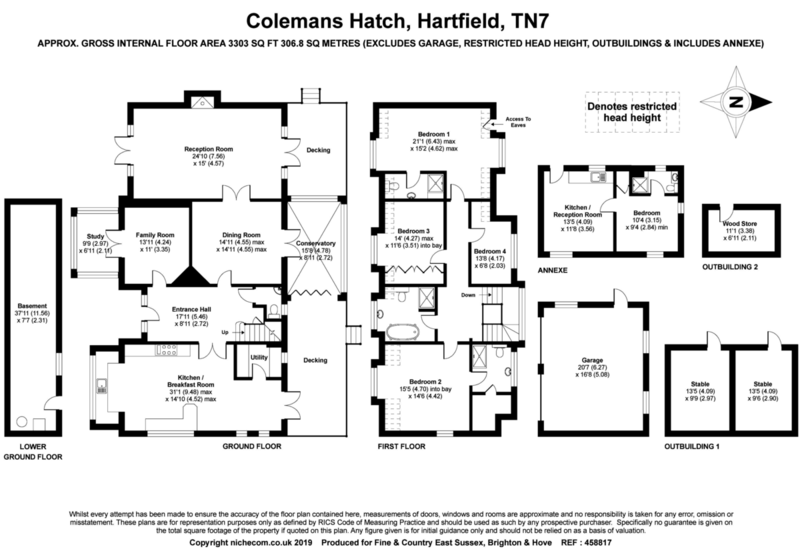 Not only has the house benefited from a two storey extension which has vastly improved both the living and sleeping areas but a dilapidated barn has recently been replaced by a brand new cabin / 'Airbnb' Lodge which is already proving rather successful simply due to the desirable location. As you wend your way along Chuck Hatch Lane passing by the area in which Pooh Bridge is located the house appears on your right. An electric five bar gate provides access from the lane which is hidden from view of the house by a large hedgerow; a substantial T-shaped driveway opens up to both the house and the recently constructed double garage, also allowing parking for the lodge. The driveway is flanked by grassy lawns with brick boundaries and the rear garden is hidden from view by a wall and stunning oak tree. As you step up to the front door and enter the hallway you are immediately struck by the proportions of this home. 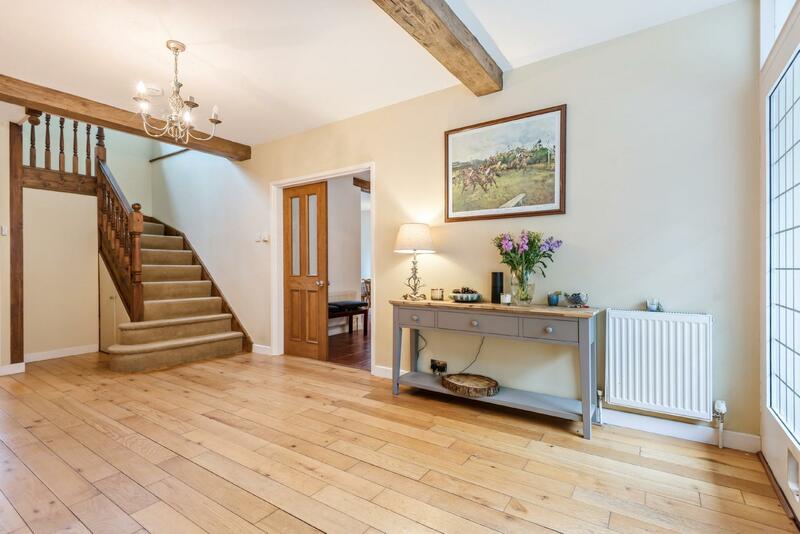 Nicely stripped wooden flooring is in keeping with the surroundings and a dog leg staircase at the end of the hall leads to the first floor. 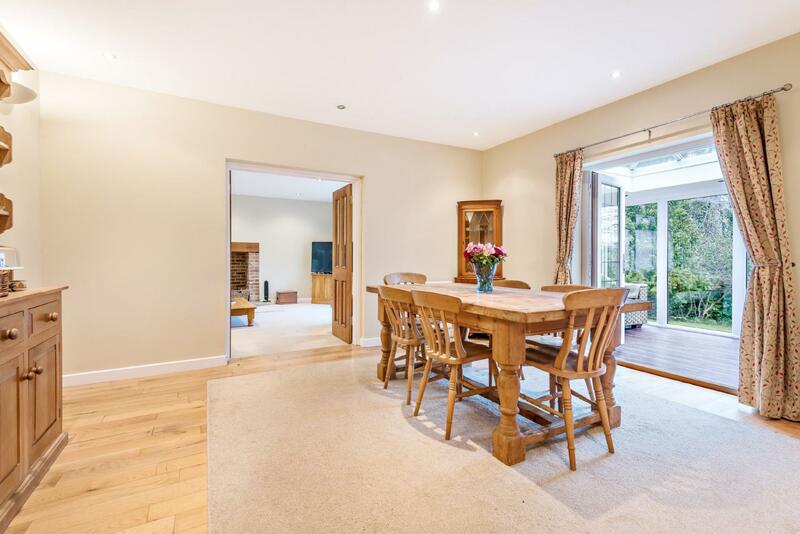 To the right you have the vast kitchen/breakfast room which runs the full depth of the house; windows overlook the front side and rear ensuring a good flow of natural light throughout the course of the day. Double doors lead out onto the rear decking which connects nicely with the orangery and has become the designated barbecue area for the summer months. The kitchen can easily accommodate a proper dining table but also includes a breakfast bar and a full range of wall and base units incorporating a large range cooker with five ring gas hob and and hot plate, built in dishwasher plus space for an American style fridge/freezer. The utility room helps keep the kitchen tidy and has space for a washing machine and tumble dryer. 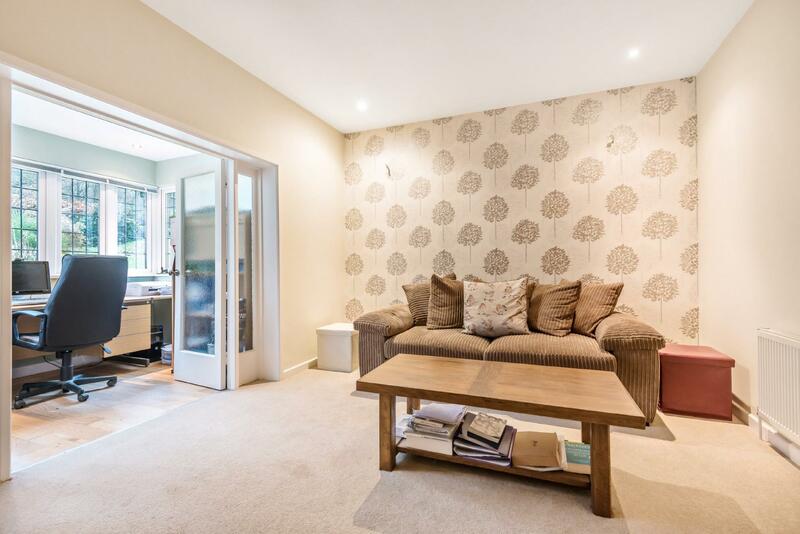 Back into the hallway and at the front of the property is the snug; prior to the two storey extension this was utilised as a bedroom but now benefits from a small extension providing office facilities should you need to work from home. Behind the snug you will find the dining room; an excellent space for more formal occasions, and unlike many dining rooms, the fact that you must pass through here to enter the lounge and orangery ensures it is always in use. 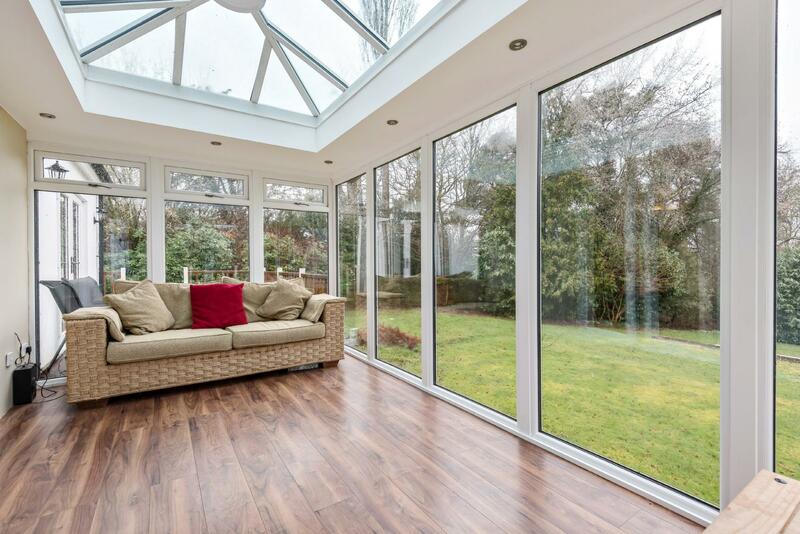 The aforementioned orangery is an excellent sun trap in the evenings and an ideal place to enjoy the sunsets and views of the garden and forest. 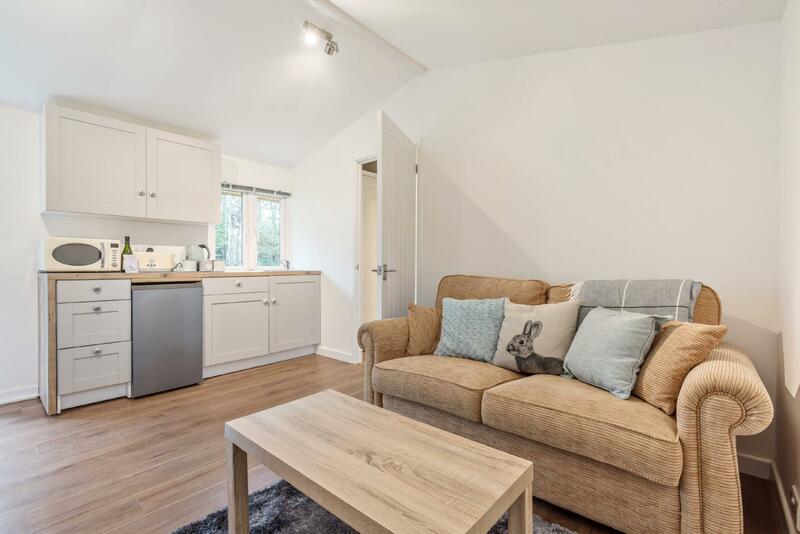 The lounge is very similar in size to the kitchen and again boasts triple aspects, french doors leading out to the front terrace and rear decking, as well as a lovely fireplace with log burner for those winter months. 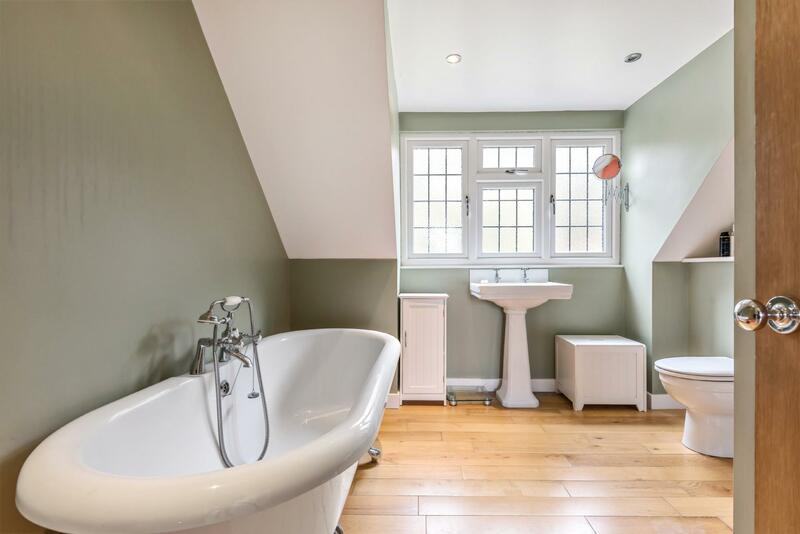 To the first floor you will find four bedrooms, two of which benefit from en-suites. 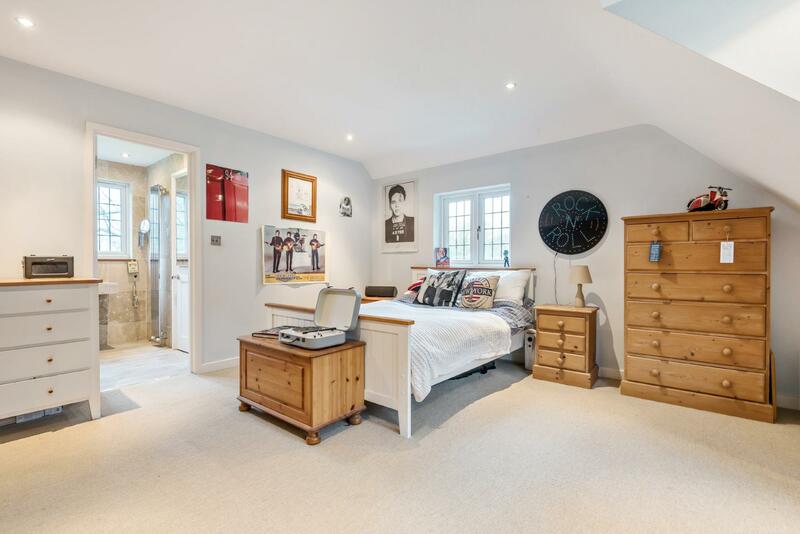 The master and second bedroom occupy both sides of the property and enjoy duel aspects in addition to the en-suite shower rooms whilst the third and fourth can be found in the middle overlooking either the front or rear gardens. 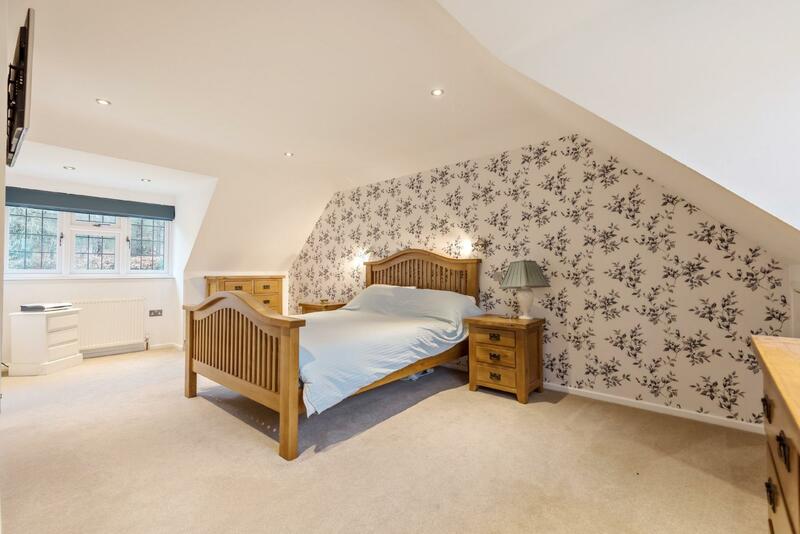 All the bedrooms have sufficient storage with numerous built in wardrobes and eaves access points. 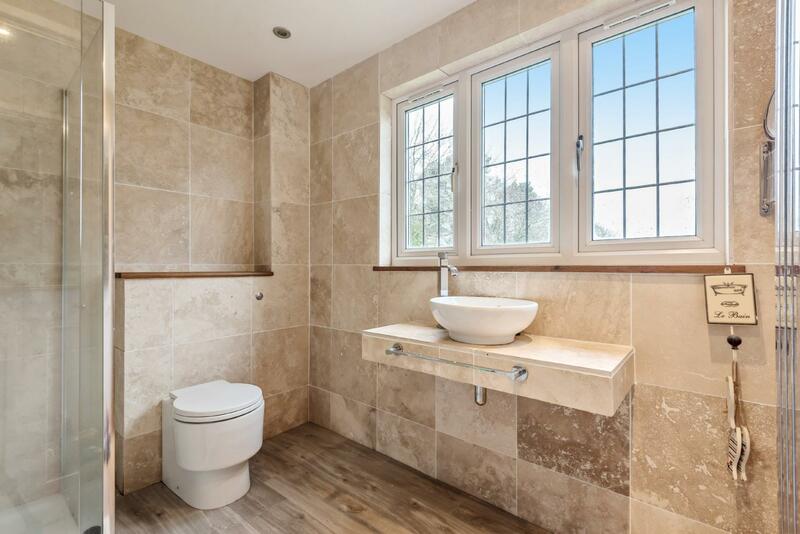 The family bathroom is a complete suite with a roll top bath, separate shower, wash hand basin and wc. Externally i have already mentioned the recently constructed double garage, behind which you will find the lodge and the two stables. 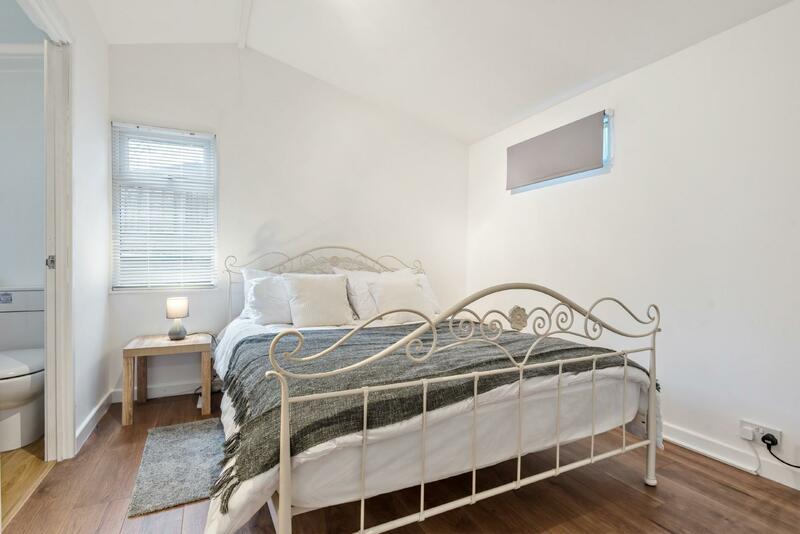 The lodge has recently been converted from an unused barn and briefly comprises of a reception room with kitchenette, a double bedroom plus and en-suite shower room. Due to its location this has proved a popular weekend retreat for Airbnb guests. 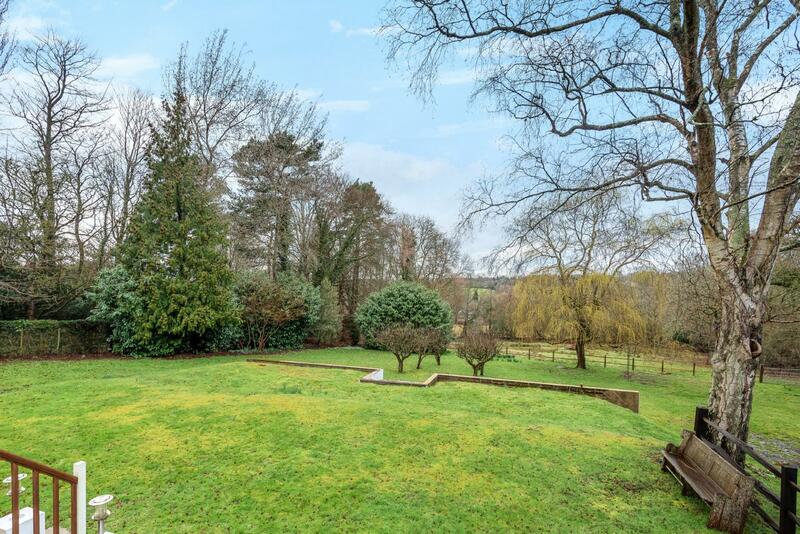 The garden gently slopes down away from the house and ends with a substantial paddock which could be ideal for a pony or even some alpacas. The views from the house, the decking and the top half of the garden are exceptional and are an ever changing wonder as the seasons progress. A small orchard can also be found to the rear. Due to the nature of the plot there is quite a large basement area and log store which is found under the decked area; this has proved very useful for storage purposes.